“Light of Dawning” is the first track on Sayama’s Yoga Meditations, and it creates a soundscape that immediately treads the border between timeless flute work and atmospheric recreations, a chiaroscuro of light and dark elements. “Contemplating Prasada” showcases Sayama’s steady hand. There are a number of different movements that are contained within this nine minute composition, but they all contribute to a cohesive and unified effort. “Holding a Peaceful Repose” is a highlight of Yoga Meditations. The intense focus that begins the track is varied through the inclusion of environmental noises playing at the periphery. As the track moves past the middle mark, the presence of strings lend the composition a classical air that lasts long after the track has ceased to play. “Eternal Mandala” is one of the most distinct efforts on the entirety of Yoga Meditations, coming forth with a serenity that will calm any frayed nerves and lead toward the creation of an overall positive disposition. The tenderness of the arrangements on the composition run the gamut of styles from traditional Native American music to industrial and ambient genres; a Gothic approach is taken to unite these disparate elements in a convincing package. 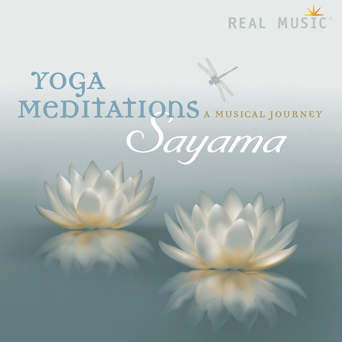 Yoga Meditations concludes with “Greeting Ananda,” a near ten minute track that touches upon the nuances that have been presented so far by Sayama on Yoga Meditations. There is a bold look towards new, fertile lands with this composition; while the effort is a solid conclusion of the album, one has to wonder if the breaking waves and slight distortion that creeps in to the mix does not portend subsequent releases by this performer.